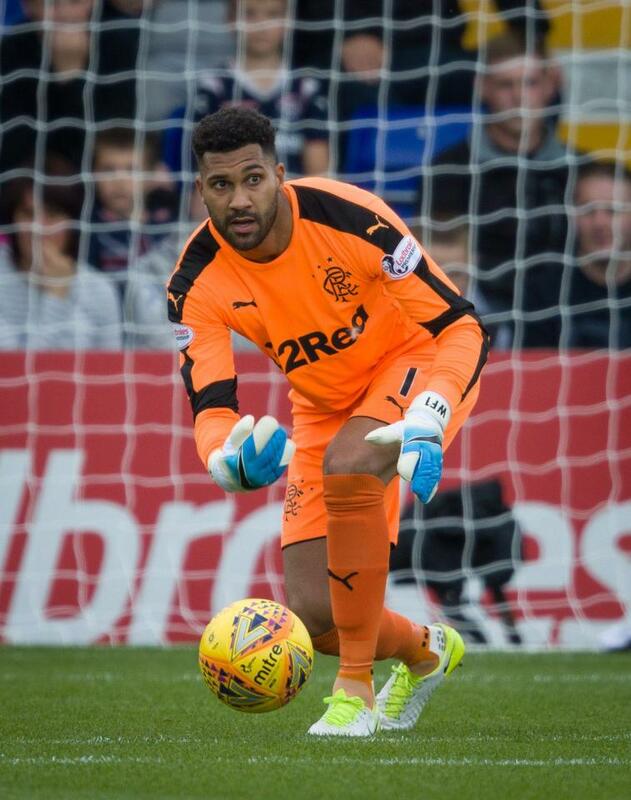 Wes Foderingham has seen his chances of being a part of Steven Gerrard’s Rangers given a possible reprieve with the surprise news of his inclusion in the Europa League squad in Robby McCrorie’s place. The official Uefa website now details Rangers’ exact 22-man squad for the first round against Macedonians Shkupi, and intriguingly it includes 27-year old Foderingham who had been heavily linked with a move away to Aston Villa and Ipswich by The Sun, after being reportedly told by Steven Gerrard he was surplus. But his inclusion, along with fellow deputy Jak Alnwick, does force the possible conclusion that he may just be sticking around. It had been expected that young McCrorie would take his place as either deputy or third choice, but the Academy graduate, despite good involvement in pre-season, will play no part tomorrow night. Foderingham hasn’t been involved on any level since the Hampden horror show in April, so his return to the front line is unexpected. Whether he will actually be on the bench for the UEL opener, however, is another matter entirely. NB: Ibrox Noise overlooked the U21 rule. McCrorie could still be involved tomorrow night but Wes' place in the list remains intriguing. McCrorie and Rudden are U21 academy graduates and don't need to be registered and can be used without being named. Very true, we overlooked this, but equally it doesn't really change the principle of the article. Wes is definitely in the list. there is no point in shutting him out, we've had no reports of him being unprofessional so why be unprofessional to him? Best thing to do is politely discuss his options with him and offer assistance in finding a new team. hope he goes, nevertheless he will play no part i think in this game after all he is 3rd choice, lets just beat them with a good advantage for 2nd leg, after last year embarrassment,Foderingham is the last of our worries.